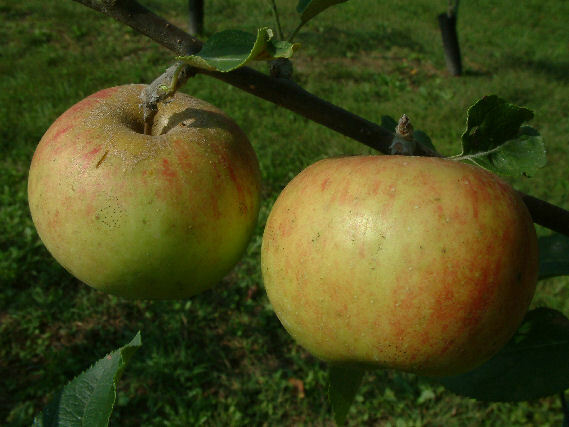 In the mid-1970’s famed apple collector, Elwood Fisher, discovered this apple growing in the Shenandoah Valley in Virginia. Fruit is medium-sized with pale yellow skin flushed with light pink. The flesh is firm, juicy and very sweet. The tree has an open, spreading growth habit and requires little pruning. The fruit exhibits excellent disease resistance. A great cider and dessert apple. Ripens in August.